An increasing number of our customers are noticing a dramatic change in how people drink. 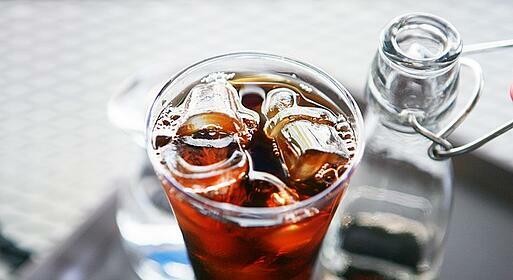 Across all demographics, companies are noticing that customers are drinking less soda. If a business hasn't noticed that change taking place, it's likely because it simply doesn't offer a wide enough variety of non-carbonated beverages (beverages that aren't soda products) for customers to choose from! Now, let me be clear: carbonated beverages are still king. But you'll have to shake things up to appeal to your customers. So, why are people making the switch, and how can you best adapt? They want variety. Many customers feel like they're familiar with most major brands of soda. They're in search of new brands and new tastes. Many customers may not have explored non-carbonated beverages as widely as they've explored soda, and they're looking to try something new. Carbonated drink sales used to make up a large portion of income for businesses. But don't worry; customers are still buying drinks, just not the same ones. However, customers aren't moving unilaterally toward one kind of drink. They're not moving overwhelmingly toward iced tea, coffee, juice, lemonade or some other alternative. What we're seeing, instead, is a fragmentation of the market. Consumers, particularly millennials, love variety. It's also possible that, given a narrow selection, customers will choose soda (or one of a short list of non-carbonated beverages) – but it's equally likely that they'll choose a free glass of water, or nothing at all. And there's something increasingly antiquated about not offering a broad selection of non-carbonated beverages, and businesses risk affecting their brand. To thrive, businesses need to offer a wide selection of beverages. Unfortunately, offering a variety of any product can be expensive if it's not the right products. Working with an expert beverage supplier means selecting the right ratio of soda and non-carbonated beverages based on menu analysis, consumer trends, and establishment data. It's true businesses typically see more profit from these diverse drinks, especially when they're served via fountain. Nothing in the bar or restaurant world is static – least of all the customers' desires. The move toward non-carbonated drinks is a greater change in the beverage world than many companies have seen in a very long time. But, with a little knowledge, care, and investment, businesses can move toward a wider offering of beverages and remain just as adaptable and adventurous as their customers.